Attending an event at Òran Mór and looking for somewhere to stay? 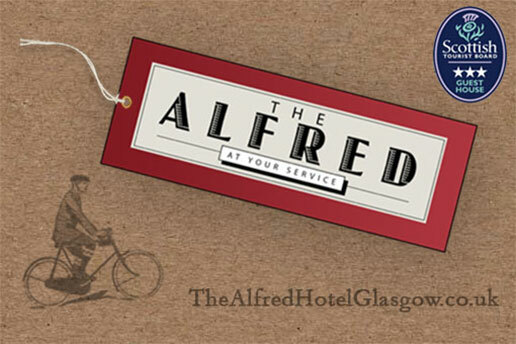 For the most competitive rates in the heart of Glasgow’s West End book your accommodation at our sister hotel The Alfred! The Alfred is a historic yet fashionable 13 bedroom boutique hotel situated on Great Western Road just a few minutes walk from Òran Mór. Spanning four floors of a refurbished Victorian town house, The Alfred merges grandeur with intimacy, and a dedicated team of friendly and experienced staff will always be on hand to ensure your stay is truly memorable. A continental breakfast served daily from 7:30-9:30am is included with every booking. We look forward to welcoming you to The Alfred!